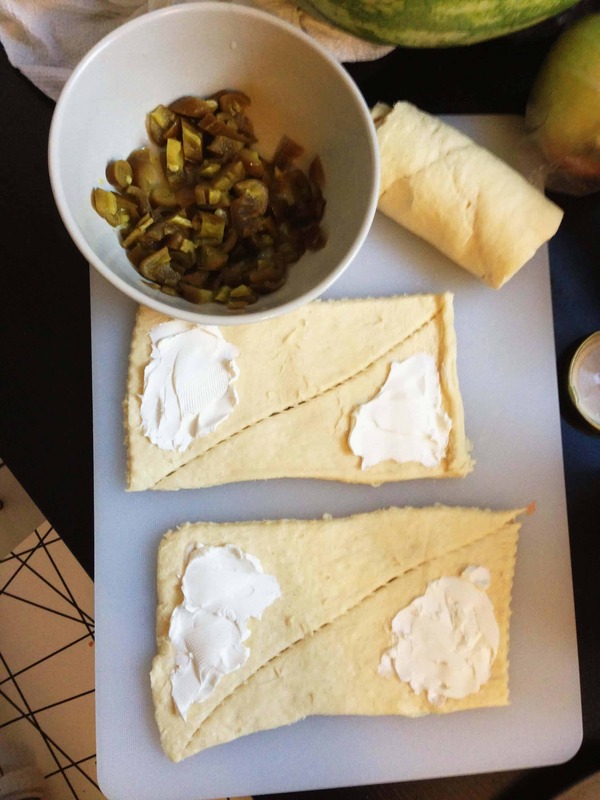 I preheated my oven to 350 degrees, then laid out the crescent dough. 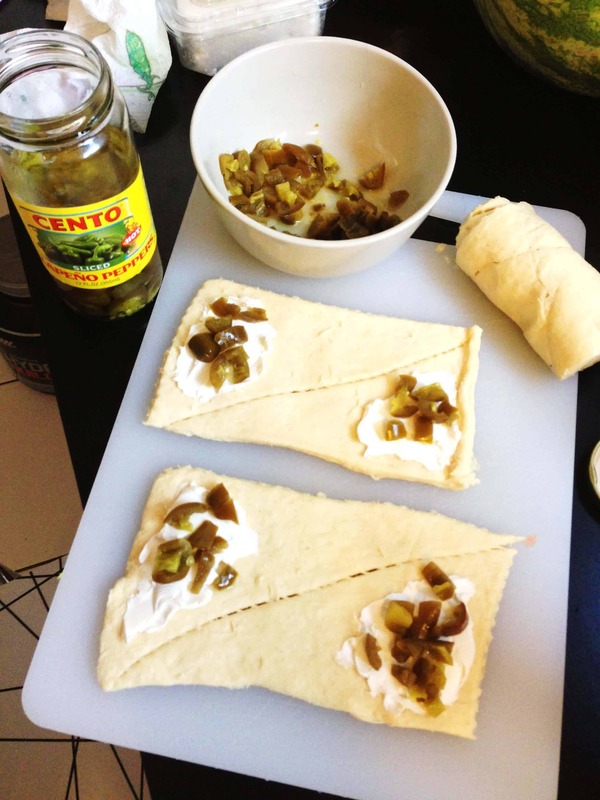 I spread about a tables spoon of cream cheese at the base of each dough triangle, then put about 1/2 tablespoon of jalapenos on top of the cream cheese. 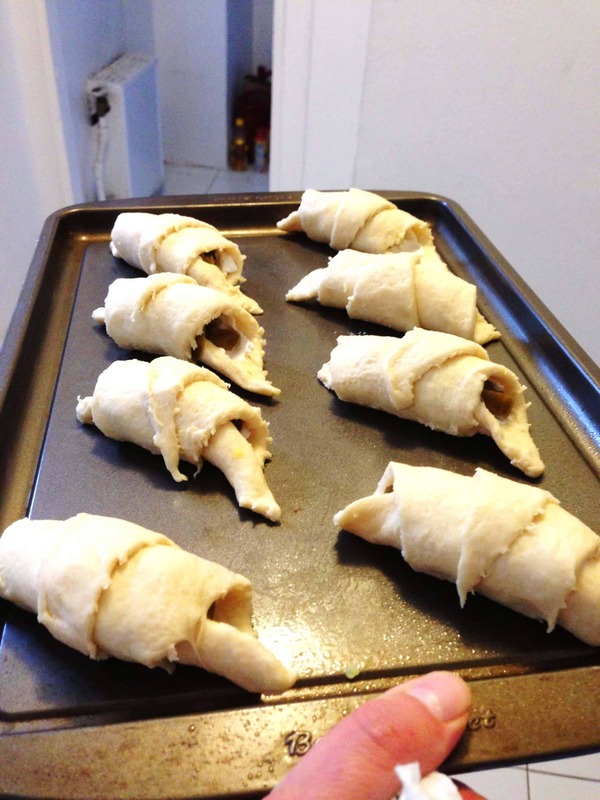 I rolled each crescent up starting from the base, and popped them in the oven for about 10 minutes (give or take) until they were golden brown. These literally went like hot cakes. I set them out and they were gone before I knew it! 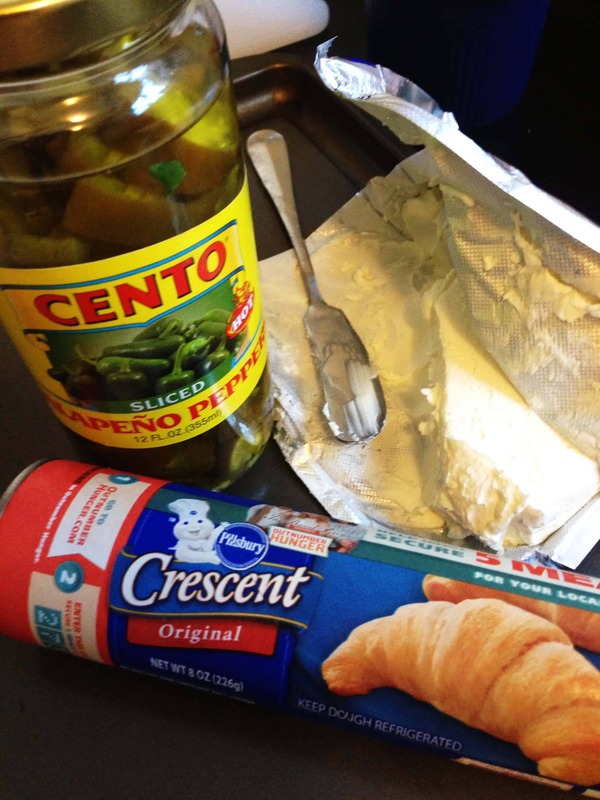 Definitely my favorite savory crescent recipe! !